Cauliflower mash is one of my favorite side dishes. It’s so easy to make so I end up making it all the time. 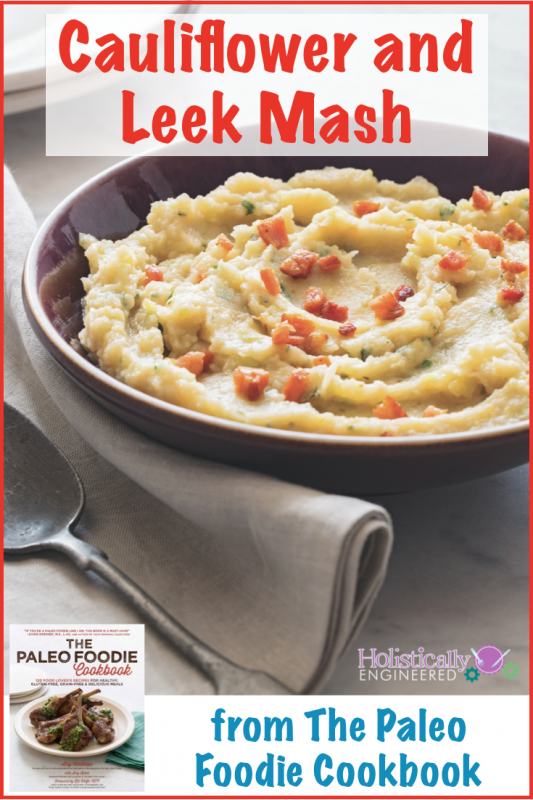 I was started to get board with my usually cauliflower mash and was browsing through The Paleo Foodie Cookbook to get some side dish inspiration. 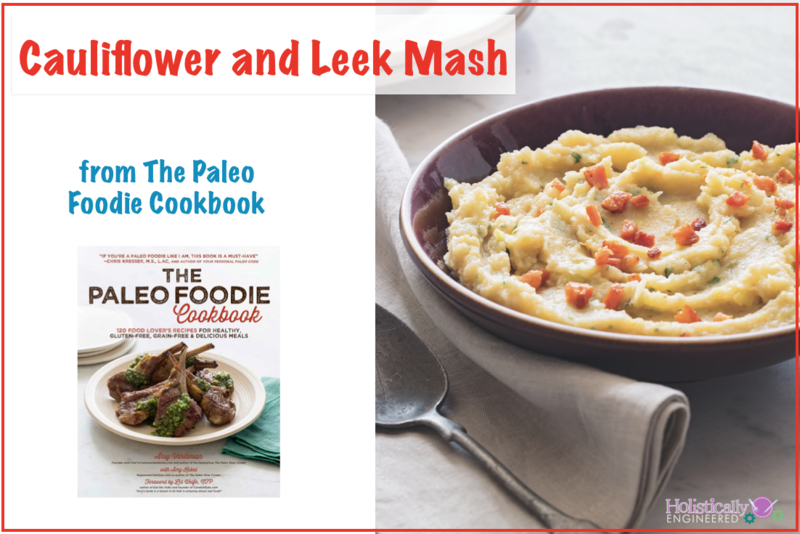 I stumbled upon the Cauliflower and Leek Mash and knew that would be the perfect way to jazz up cauliflower mash. The combination of bacon and leeks (onion like flavor for those non-foodies) goes so well together. Because I loved the recipe so much, my friend Arsy let me share the recipe on my blog. Over the last year or so, Arsy has become one of my blogger friends and I had the opportunity to meet Arsy earlier this year at Paleo F(x). 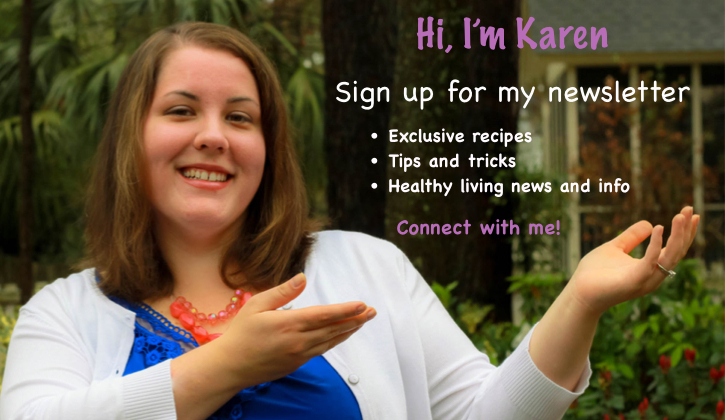 She worked very hard to create delicious recipes and put together this amazing cookbook for all of you (and yes it is a physical cookbook for those that aren’t fans of ebooks). 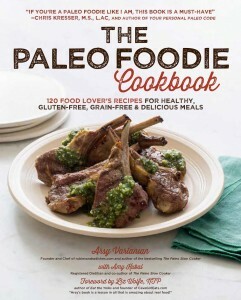 Arsy’s recipes help add some fun and creativity to your meals and dinner parties that you share with friends. Place cauliflower and chicken broth in a pot with a tight-fitting lid. Bring to a boil, then simmer until cauliflower is tender and mashes easily. Meanwhile, heat a heavy-bottomed pan over medium-low heat. Add bacon and cook until crispy. Once bacon is cooked, set bacon bits aside, leaving bacon fat in the pan. Let the bacon fat cool slightly. While cauliflower is cooking, add leeks to the bacon grease and sauté over medium heat. Sauté leeks until soft, about 5 minutes. Add garlic and sauté for a minute or two until fragrant. Set aside. Once cauliflower is ready, mash down with a fork and add leek/garlic sauté and butter to pot. Use 2 tbsp (30 g) of butter, if you prefer a creamier consistency. Use an immersion blender to thoroughly mix to desired consistency. Mix in chopped parsley with a fork. Top with bacon and serve!